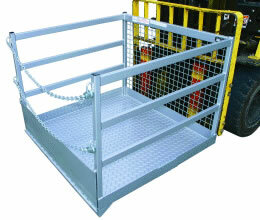 NS-WP-GC12 forklift Goods Cage is 1200mm wide and has 1000kg SWL. 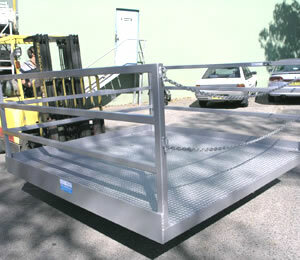 It is ideal solution to transport goods with forklift from ground level up to a raised mezzanine. 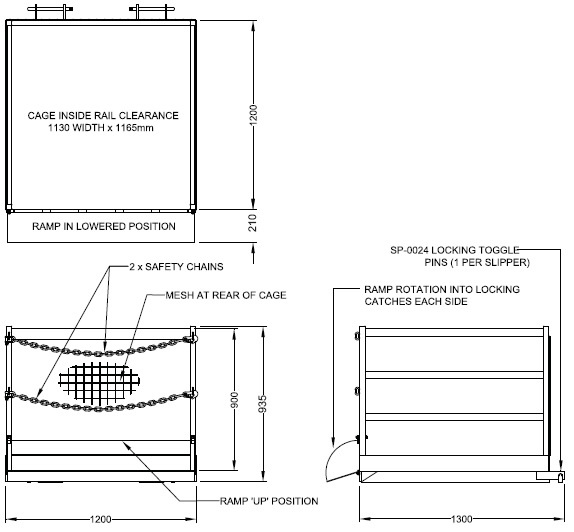 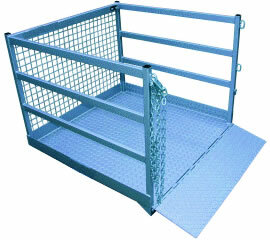 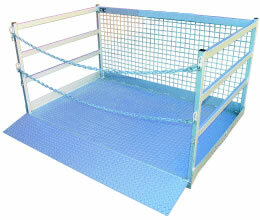 Supplied with hinged a ramp to enable furniture trolleys to be easily wheeled into the goods cage.